"... im trying to find a store that carries this stuff cause i dont want to order online.where can i get it"
Check your nearest supplement or health store, but it's much easier to order online and CHEAPER as well. Click above to see your options and if you are concerned then contact the live chat. "... Easily my favorite pre-workout drink. What I love about it is that you get the best focus without any of those annoying shakes like 1MR or C4 give you. Just a really clear and focused effect and the pumps are really great too. Highly recommend it!" "... Love it. Using 2 scoops pre-workout and the focus and buzz kicks in minutes after drinking it. Really does life your mood as well, at least it does for me. Good pumps, but not great. But drive, strength and endurance are great. I stack it with con-cret as well and seems to be a great combo. A+"
"... My new favorite pre-workout, no question about it. I've pretty much used all of the big brands and popular formulas and I find that they just really give you this weird tingly feeling all over my face, pins and needles kinda thing. Anyways, with this I get the energy and focus I need, great pumps and endurance, etc without the crazy man side-effects. Will be using this for some time to come. Flavor is also great." "... Really impressed with this one, that is the honest truth. I have most recently used hyper fx and hydroxystim and none of those compare to this one in my experience. Just pure superior energy and focus and the pumps are untouchable. Couple sets of curls and my arms are jacked, really cool and motivating to go through my workouts. The flavor is also great. Will be using it again and recommend it." 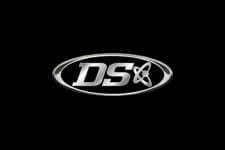 DS - Driven Sports - Craze Pre Workout! Once you try a serving of Craze you won't have any reason to switch again! Drive Sports has taken the industry by storm with their Craze pre training fuel supplement! Most other brands are left standing scratching their heads trying to figure out where they took the wrong turn! Most users of Craze will agree that it is the most powerful pre-workout solution for weight training, sports and bodybuilding available today. Experience performance levels at your absolute best, see new gains in strength and muscles quicker than before, experience a heightened feeling and focus that is unmatched! Also, as with most powder in this class since the days of MRI NO2, you can expect awesome muscle pumps that make each and every workout a treat to experience. See what you actually feel, connect your mind with your muscle and feel every fibre tense, contract and expand with each rep. Craze is currently available in one flavor, but no need to fear as it's the top rated flavored pre-workout out today, Candy Grape! Go get some today and be sure to post back right here at fitFLEX to let everyone know what you did and perhaps didn't like about it! Sports Nutrition for Performance-Enhancing Power! Leading Carbohydrate Free - High Energy Supplement!